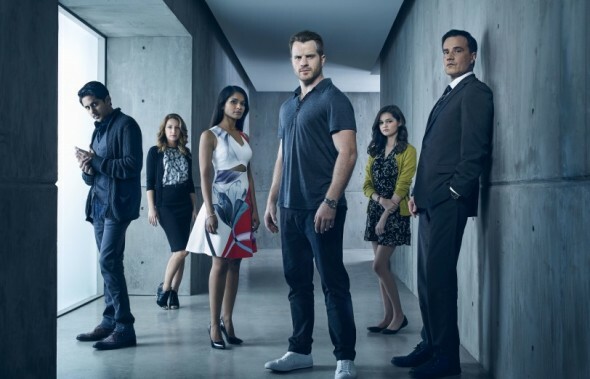 Performers include: Rob Kazinsky, Tim DeKay, Dilshad Vadsaria, Adhir Kalyan, Ciara Bravo, and Vanessa Lengies. At age 75, former King County sheriff, Jimmy Pritchard (Philip Baker Hall), is unwell. He his also unwilling to abandon the booze and cigarettes exacerbating his old age. As a younger man, Jimmy often ignored his family in favor of work and carousing. He left office in disgrace, after being accused of fabricating evidence. Today, Jimmy’s son, Duval (Tim DeKay), is an FBI Agent. His only child, Gracie (Ciara Bravo), is Jimmy’s delight. Jimmy pokes through Duval’s case files, when he’s not holding his “Music Appreciation Club” with pretty young Bettina (Nicky Whelan) — who may charge him for her services. Genius twins, Mary (Dilshad Vadsaria) and Otto Goodwin (Adhir Kalyan), are scientists and the billionaire founders of social media giant, Lookinglass Technologies. Until they were nine years old, Otto would only speak to Mary, and did so, via his custom twin language of about 3,000 words. While still children, Otto created the logarithm which is the basis of the Lookinglass technology. Still quirky, he rides a scooter through their building and slips into twin-speak. His sister remains his link to the world. Mary is all business. She is also dying of cancer. Otto is desperate to save her life. Executive assistant Alexa (Vanessa Lengies) is concerned about Mary and her offbeat brother. She lends a willing ear and encourages Mary to talk about their uncertain future. When Jimmy goes to Duval’s to retrieve some old LPs, he is murdered by corrupt law enforcement. His death is ruled a suicide. Otto procures Jimmy’s genetically optimal corpse (against Mary’s wishes) and he uses it to test their reanimation protocol. Mary is appalled and tries to shut down the process, but Otto convinces her to relent. Jimmy’s daughter, Helen (Amanda Detmer), drinks too much, and is bitter about her father’s passing and the sheriff department’s treatment of him, in life and death. When she acts up after the funeral, her brother has her escorted off, to calm down. True to his father’s work ethic, Duval attacks his long-running case, immediately after the funeral. He does not realize his partner, Agent John Strayburn (Derek Webster), was a party to Jimmy’s murder. In his younger, stronger, super-potent regenerated body, Jimmy (Rob Kazinsky) is now truly a new man. The scenes from his life that flashed before his eyes at the time of his death, repeat as he returns to life. Mary is present as Jimmy wakes, in what seems to be his apartment. When he feels his solid abs and realizes his hand looks unfamiliar, he heads for the mirror, but it has been removed. Agitated and frustrated with Mary’s reluctance to explain things, Jimmy throttles her. He finally releases his hold, when memories of his own death bring him to his knees. The Goodwins’ computer, Arthur (voiced by Scott Menville), informs Otto it took 12 times the amount of sedative prescribed, to subdue the regenerated Jimmy. Now, there is no sedative left in Jimmy’s sub-dermal capsule. Has Otto created a superhuman monster he cannot control? Pritchard and Duval race against the clock to save Gracie from Connor (guest star Adan Canto) and Otto’s life-threatening experiment. But time is quickly running out for Pritchard, as well, since there is no tank in which he can regenerate. Meanwhile, Mary, with the help of Alexa, does everything she can to try and unlock the code to save Pritchard’s life before it’s too late, and Otto wrestles with his conscience and the decisions he’s made that have changed lives forever. First aired: March 25, 2016. What do you think? Do you like the Second Chance TV show? Do you think it should have been cancelled or renewed for a second season? I like to ask those people. Why put lots of some crab on tv, but this kind of intresring stuff will not get second session?? Its maybe too close about that true, what will happen in future? And big house boss scared? There is no other reason why that happen. Fox continues its poor choices with canceling this show. Seriously …I loved Second Chance as did my husband…come on people get with the program and bring it back!!!!! I love this show. I just discovered it. It should never had been cancelled. Of course Altered Carbon is quite similar. But this show should be renewed. Pls, even if it has not been big for the audience, make more episodes/seasons for the people who likes it. Pls, it would be a big present. Just recently watched the series and I loved it. Loved the characters. The show should be renewed. Pretty cool tv series. Nice stories full of surprise and humanity. I love the original creation. Expecting second season to come out.